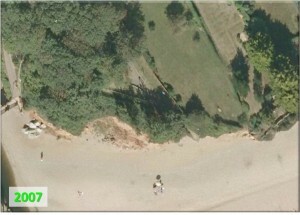 We capture aerial photography for the entire coast at least once per five year phase of our Programme. 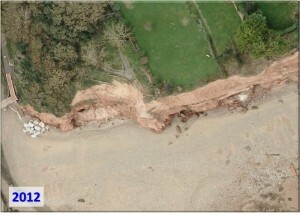 The imagery is high resolution (10cm) and covers the area between mean low water springs and roughly 100m inland. We capture the data during the summer months, when vegetation is at its most abundant, so that the data can be used in our habitat mapping programme. We also try and capture near-infrared imagery where we can, again for use in habitat mapping. All the images are orthorectified using our LiDAR. Repeated aerial photography flights are very valuable in illustrating coastal change. 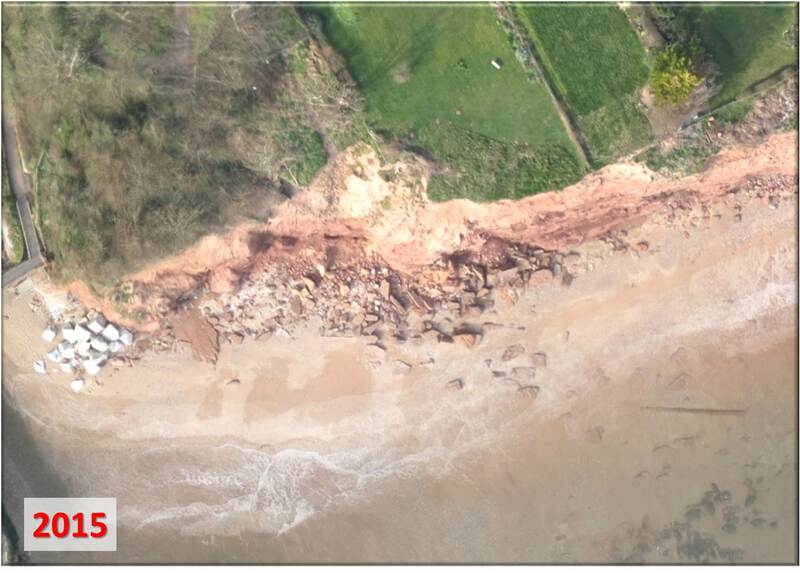 Most of our photography is captured from manned aircraft, which is cost effective and important for capturing images of inaccessible areas. The only drawback of this method being that it is highly weather dependent - there is no point capturing images which are full of cloud! 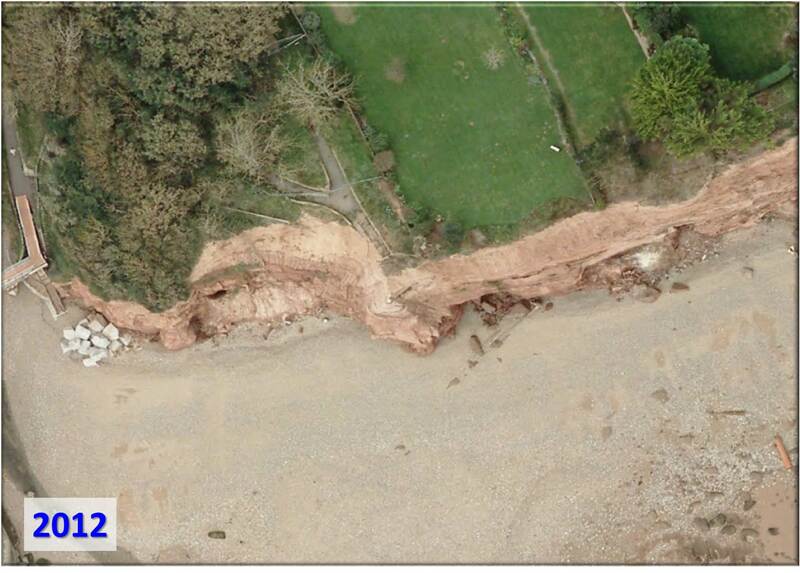 Some of our images have been captured using a UAV, although this method is only suitable for capturing small sections of the coast at one time. Follow the link to the map viewer and data catalogue to download aerial photography data. 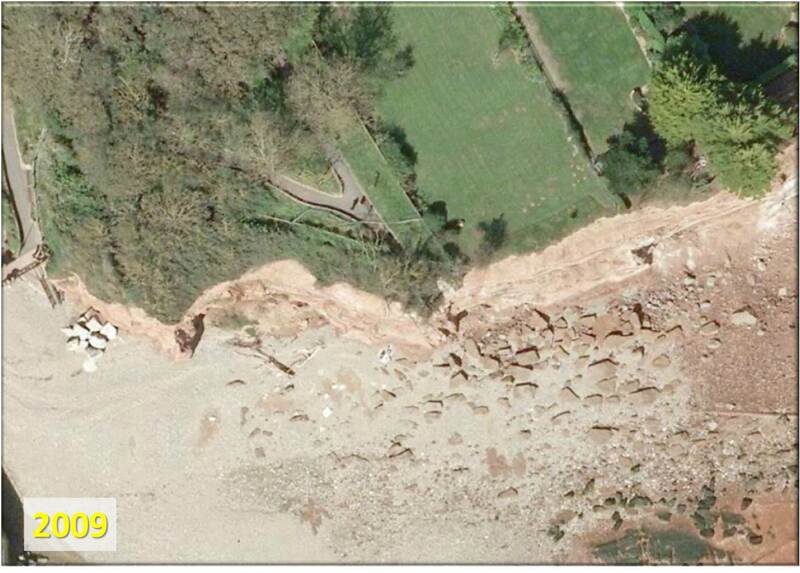 The photography above shows cliff evolution at Pennington Point, Sidmouth, Devon between 2007 and 2015.